South African hopes for a medal in the SUP Surfing of the ISA World SUP and Paddleboard Championship in China lie with Capetonian Thomas King, who is two heats from the final. The waves carried on pouring through courtesy a typhoon off the South China Sea, and the stage is set to crown the event’s first ISA SUP Surfing World Champions in Asia tomorrow. Past ISA World Champions Luiz Diniz (Brazil) and Sean Poynter (USA) are one heat from the main event final, but must first take the top two spots over Australia’s Harry Maskell and Brazil’s Caio Vaz, both looking for their first ISA Gold. South Africa's medal hope King must survive repecharge Round 7 and then come through the repecharge Final to get a place in the four-main main event final. King is looking good and has already earned the highest heat total with a 16.36 to keep him alive in the Repechage. The same scene is set for the women, with Brazilian Nicole Pacelli - 2013 ISA SUP Surfing World Champion - into the penultimate women's round, along with New Zealand’s Stella Smith, Spain’s Iballa Ruano Moreno, and Japan’s Yuuka Horikoshi. 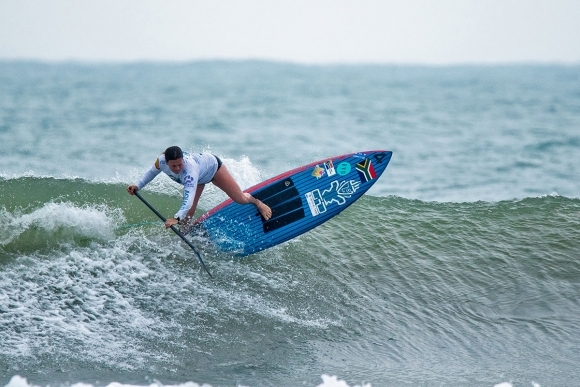 South Africans Penny Stemmet and Tamsen Forster were knocked out in the Women's repecharge Round 4. Earlier today, the third day of competition kicked off in more swell in Wanning, China with long left-hand waves peeling into Riyue Bay. After falling into the Repechage Rounds the previous day, Australia’s defending SUP Surfing World Champion Shakira Westdorp bounced back with vengeance and earned the three highest heat totals of the day among the women with 14.33, 14.27 and 13.37 in her Repechage heats. 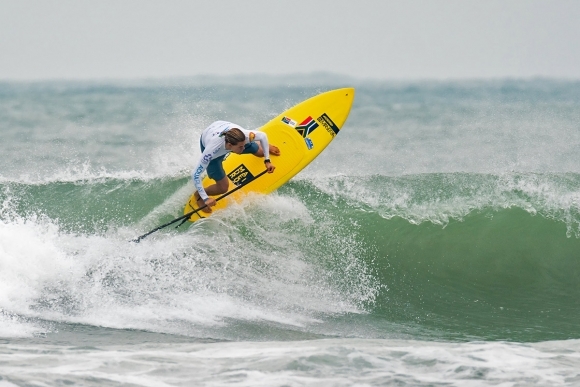 After the SUP Surfing Champions are crowned tomorrow, the competition will transition to SUP and Paddleboard Racing, with the Technical Races to kick off the action in Riyue Bay. The SUP Sprints, Distance Races and Team Relay will cap off the week at Shenzhou Peninsula. The ISA World SUP and Paddleboard Championship will be streamed live on www.isasurf.org from Nov 23 to Dec 2.